Product code: W869 Categories: Sold Items, Sold Watches. Since its founding in 1755, Vacheron and Constantin have made a name as one of the finest watchmakers in Switzerland, and here is a very stylish 18ct Vacheron & Constantin watch reference 6487 watch that will always look so elegant day or night. 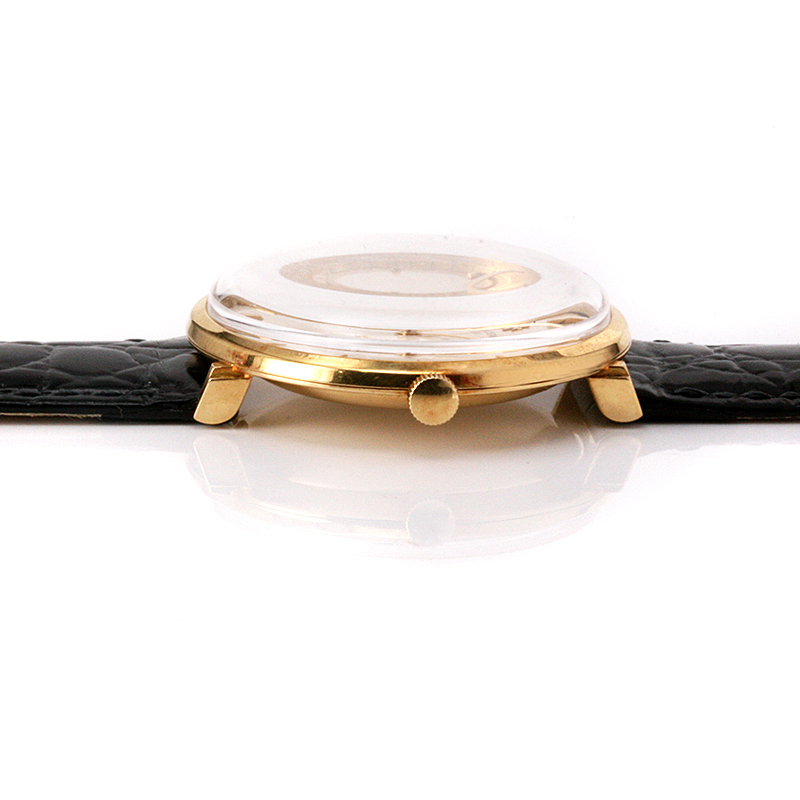 Fitted into a solid 18ct yellow gold case that measures 34mm across plus the crown, the case features gorgeous drop style lugs that can be seen when you look at its side profile which gives it such a great unique look and shows the styling of the 1960’s when this watch was made. The dial is all original and still so easy to read and has not only the centre sweep second hand, but is signed the traditional “Vacheron & Constantin”. This was the way all of their timepieces were signed for over 250 years until 1970 when they dropped the “&” symbol and just became Vacheron Constantin. Inside is their fabulous manual wind Vacheron Constantin calibre K1002 that has just come back from a full service, runs perfect and comes with our twelve month warranty. So elegant and stylish, this vintage Vacheron Constantin watch is just such a perfect timepiece that just like a vintage wine gets better and better over the years. Tag: Vacheron & Constantin watch.